Palm Springs Real Estate For Canadians: Is The Loonie Headed South? Should You Be? 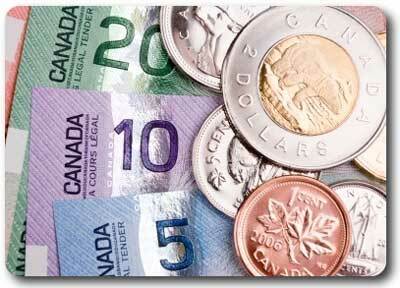 The Globe And Mail reported today that Toronto-Dominion Bank is forecasting a big drop in the Canadian dollar. TD bank believes that the loonie, now at near par, will tumble to ninety cents by early in 2014 before recovering to ninety-three cents by the end of the year. We’ll see if these predictions prove out in the coming year. According to the article TD joins a growing number of analysts who are predicting that the Canadian dollar’s long run up, which began in 2003, is now about to come to an end. Locally, Canadians who are interested in Palm Springs area real estate seem to be taking this news seriously, as we’ve seen another uptick in interest from our Canadian buyers. If Palm Springs area home and condo prices continue to rise as they have over the last eighteen months, and if the Canadian dollar does hit around 90 cents in 2014, the combination could equal in realty a price adjustment of fifteen to twenty or more percent or more. On the flip side, Canadians buying real estate this year, who can take advantage of the still strong loonie, coupled with ongoing price increases in the Palm Springs real estate market could reap a double digit gain on their investment as their property here is valued in US dollars, which significantly increases the value of your investment. Time will tell if these Canadian bank predictions come true, but based on our Palm Springs real estate market trends over the past 18 months, now would be a great time to take action on today's opportunity if you are ready. Disclaimer: Sheri Dettman & Associates is not offering any financial advice or advice on how to time the currency market. We just tell it like it is!